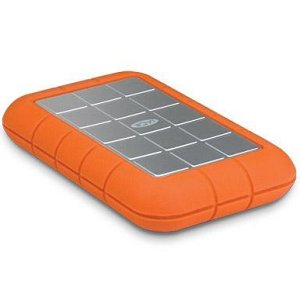 The Rugged is one of our most popular hard disks, and it's the best way to protect your data. It conforms to military standard 810-F, and can support drops from up to two meters. 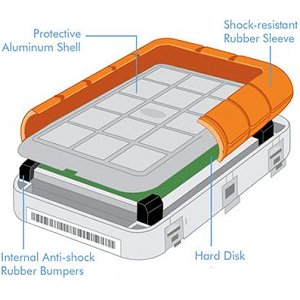 It helps you carry your files with confidence, no matter where the road takes you, thanks to its shock-absorbing sleeve, aluminum anti-scratch casing, internal rubber bumpers, and a 1000 G shock-resistant hard drive. Calculations are based on average read time. LaCie Private-Public software*** ensures your files remain completely confidential. *** Encryption software is only available via download and is not available in Russia. Automatic Eco mode lowers the power consumption by up to 40%^ when not in use, increasing the battery life of your notebook or laptop. To achieve full interface bandwidth, connect the product to a USB 3.0 or FireWire 800 port on a computer or device. Compatibility with FireWire 400 requires an adapter cable (sold separately). File speeds limited to FireWire 400 speeds. Encryption software is only available via download and is not available in Russia. ^Up to 40% energy savings with automatic standby. 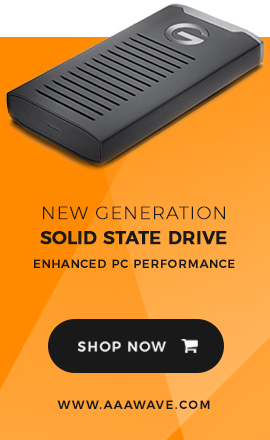 May vary depending on capacity and from one drive to another.